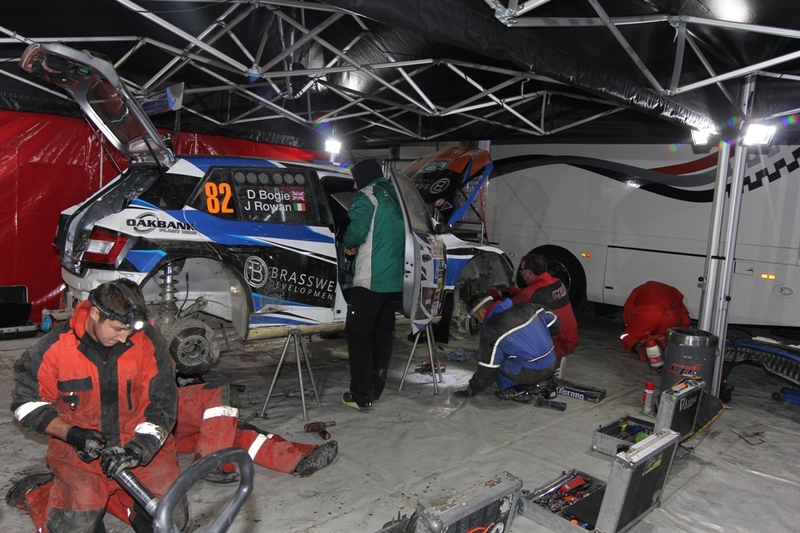 Although they didn't finish the final day of Dayinsure Wales Rally GB and the second Leg of the Prestone British Championship, David Bogie and John Rowan can be well pleased with their performance. They took maximum BRC points on the first Leg and were leading after the first stage on Sunday morning. In fact they went into the Gwydir Power Stage test (SS20) holding 13th place overall in the International field nearly a minute clear of 14th placed Stephane Lefebvre! Given the pace, even the smallest of mistakes can exact a heavy price and the slippery conditions caught out the Skoda driver sliding off and into retirement, although with no injury to the crew and little damage to the car. Matt Edwards had already done enough to clinch British title the day before so he becomes the 2018 Prestone British Rally Champion. Alex Laffey therefore finished best of the Scots, second in the championship ahead of third placed Bogie. Laffey scored the best result of his career with 2nd place behind M-Sport team mate Edwards on Sunday. Steve Rokland won the Prestone MSA Motorsport News Junior BRC title winning a test with the Hyundai Motorsport team in an R5 car. James Williams was 2nd ahead of Ireland's Kevin Horgan co-driven by Scotsman, Richard Crozier. Horgan therefore finished his season 8th overall in the BRC points standings. Not bad for a youngster on only his third ever gravel rally and first time out in a Skoda Fabia R2. Jordan Reynolds won the Cadet Cup securing two second place finishes on the final two rounds of the season, but Finlay Retson lost out. He and Tom Hynd finished 41st overall at the end of a torrid weekend. 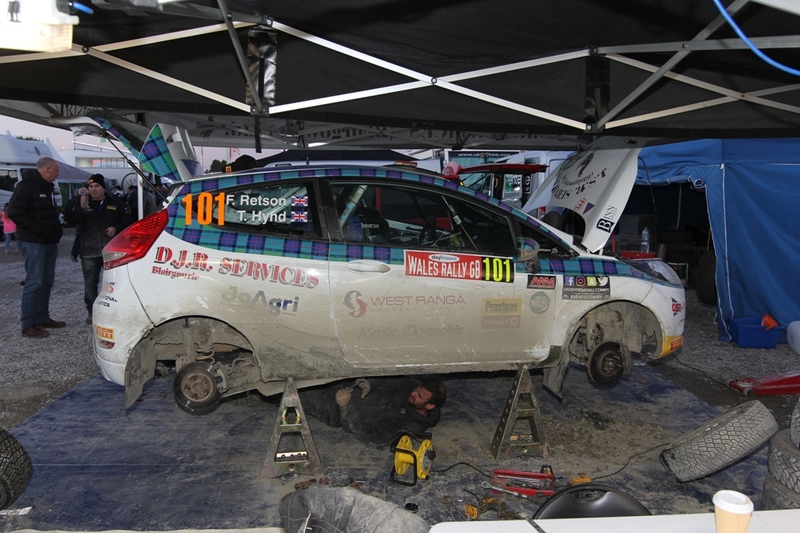 The Fiesta broke its axle on Saturday afternoon requiring repairs and welding on Saturday night to allow the crew back out on Sunday under Rally 2 regulations. He finished 4th Cadet and 6th Junior in the 2018 BRC series. John Morrison and Peter Carstairs clinched the BRC National Rally Cup in Wales despite not finishing the Saturday leg and had to repair the engine to get back out on Sunday. They actually finished 35th overall and 2nd in class behind Edinburgher Tony Jardine who was 33rd.